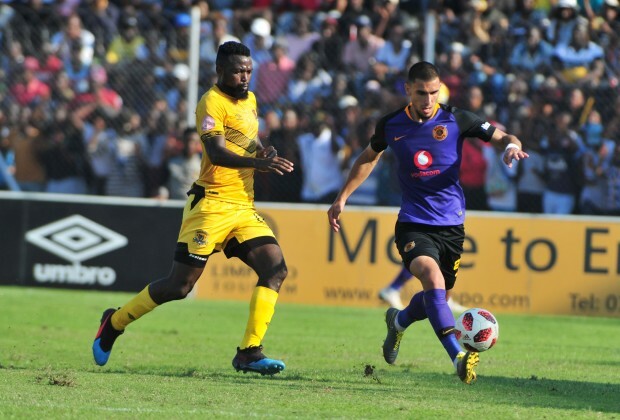 Kaizer Chiefs’ academy is really starting to prove it's worth in recent years, and there were five graduates in their squad over the weekend – but it could have been even more. Check out Chiefs' promising youngsters and promoted stars in the gallery above! Lorenzo Gordinho, Bruce Bvuma, Siyabonga Ngezana, Njabulo Blom and Given Thibedi were all given a place in the 18-man squad as the Glamour Boys drew 1-1 with Black Leopards over the weekend, with Ernst Middendorp clearly looking to freshen things up at Naturena. While only Gordinho played – he started and finished the game at Thohoyandou Stadium – Bvuma and Ngezana have all played this season and Blom/Thibedi are only recently promoted into the first team (Thibedi has been brought back up). If it wasn’t for injury, though, it is likely that there could have been even more development products in Middendorp’s squad, with both Happy Mashiane and Nkosingiphile Ngcobo missing after being ruled out for the remainder of the season. Likewise with Itumeleng Khune, the club’s most famous graduate in recent years, who would no doubt have been starting the game if it wasn’t for his recent shoulder surgery. Among the rest of the squad there is also the likes of Emmanuel Letlotlo, Khotso Malope, Hendrick Ekstein and Siphosakhe Ntiya-Ntiya who were left out for various reasons, but have all made the squad or played over the course of the 2018/19 campaign so far. Who do you think is Chiefs’ most exciting youth product? But we all know why they are promoting this calf's is mainly because they can't afford to buy quality players akere cowditor .